How to maintain swimming pool in your Apartment? A swimming pool is an irresistible attraction in any residential apartment complex. It is the perfect way to exercise, unwind, and simply splash around with your kids for a fun, family evening. However, often, apartment associations neglect the maintenance of the swimming pool, making it an eye sore, as well as a health hazard. To prevent potential health problems, here are some simple swimming pool maintenance tips. A swimming pool must have a pH level of 7.2 – 7.6 for the water sanitizers, such as chlorine, to work well. Using a drop test kit to regularly measure the pH level of the swimming pool in your apartment can prevent the pH level from going too high or too low. To lower pH levels, Hydrochloric Acid is commonly used. There are other alternatives to maintain the pH level, such as granular acid or pH minus. The amount of total dissolved solids and the calcium hardness of the water in the swimming pool should be tested every six months. Chlorine is the most commonly used pool sanitizer; however it has certain side effects such as red eyes and dry eyes. Floating chlorine feeders and automatic chlorine feeders are better ways of maintaining chlorine levels, as compared to simply putting chlorine sticks/chlorine tablets in the pool. There are alternative means of water treatment which you can use to sanitize your apartment pool. Mineral purification systems, which pump the water through minerals like silver and copper, kill the algae and bacteria present in the water. Salt chlorinators are another great way to maintain the chlorine level of your pool. An electrode is attached to the plumbing system of the pool, which can convert the natural salt added, to chlorine. Looking for a agency to maintain swimming pool in your apartment complex? Pools need to be cleaned every day. Leafs and other debris must be removed daily. The swimming pool pumps must be run daily for a couple of hours, so that the water in the pool remains fresh. In summers, the pump needs to be run for a longer time to filter the water adequately. The walls and bottom tiles of a pool need to be brushed frequently to prevent algae from growing on these surfaces. Pool skimmers, Leaf catchers, pumps and chlorine dispensers must be cleaned regularly. It is easy to ignore cleaning the skimmers, but if they get clogged, the circulation of water in the pool will be reduced, because of which the water in the swimming pool may become unsafe for swimmers. The water level of a pool should never go below the level of the pool skimmers, or the pool circulation mechanism will not work effectively. A good option is to install automatic water levelers to check the water level and fill the pool with water once the water level drops below a specific level. The apartment association should have a set of common rules for all the pool users, such as taking showers before entering the pool and not throwing any food items in the pool. The swimming pool is the common property of all the apartment owners, and they should take care to ensure that it remains clean and hygienic. It is equally important to maintain safe swimming pool practices, such as specific pool timings, adult supervision when children use the pool, basic first aid training to the pool users, and safety kit. The edges of the pool can become slippery and cause people to slip and get hurt. So, keeping the pool surroundings clean and safe is always recommended. A well maintained swimming pool is an asset to an apartment complex. But improper care can turn into an eye sore. In a two part series, ApnaComplex examines the Estate Manager Efficiency, the profile and job resposnibilities of an estate manager. Read the Part-1 of this Estate Manager Special here. The apartment estate manager is supposed to ensure that all accounts pertaining to purchase and sales relating to the apartment are in order. As most estate managers are required to handle bookkeeping and accounts, having an intrinsic knowledge of accounting software is beneficial for the apartment estate manager. Computerized management of accounts saves time and also ensures accountability and transparency. Hiring household and estate staff and ensuring they perform their duties to the best of their ability is a key aspect of being an apartment manager. The apartment manager is also responsible for releasing any excess staff in a smooth manner. The manager has to run a background check of the local labor, while hiring and also check for any past criminal records. The apartment manager has to ensure that the staffs receive their payments on time and arrears in payment, if any, are subsequently paid. Settling pay hike disputes with unions and other organizations is also an important job role of an apartment manager. Unions are volatile organizations and maintaining a cordial relationship with them is important. Thus, an apartment manager has to be well versed in personal relations as well. The apartment manager has to act as an intermediary in the context of any disputes over common areas or disagreements on usage of areas such as swimming pool, gym, sauna and sports rooms. In any large apartment complex there are disputes between the residents from time to time and the apartment manager has to be mature enough to handle such volatile situations. The manager has to find a proper solution that is suitable for both the parties involved and settle the dispute. The apartment manager has to ensure that residents can move in and out of the apartment in a smooth and easy manner. The manager has to maintain a list of efficient packers and movers in the area and he has to base this list in terms of past services rendered. The apartment manager has to coordinate with any private agencies, which are looking to engage in promotional activities in the apartment complex. Obtaining special discounts and commission for the apartment is to be done by the apartment manager. 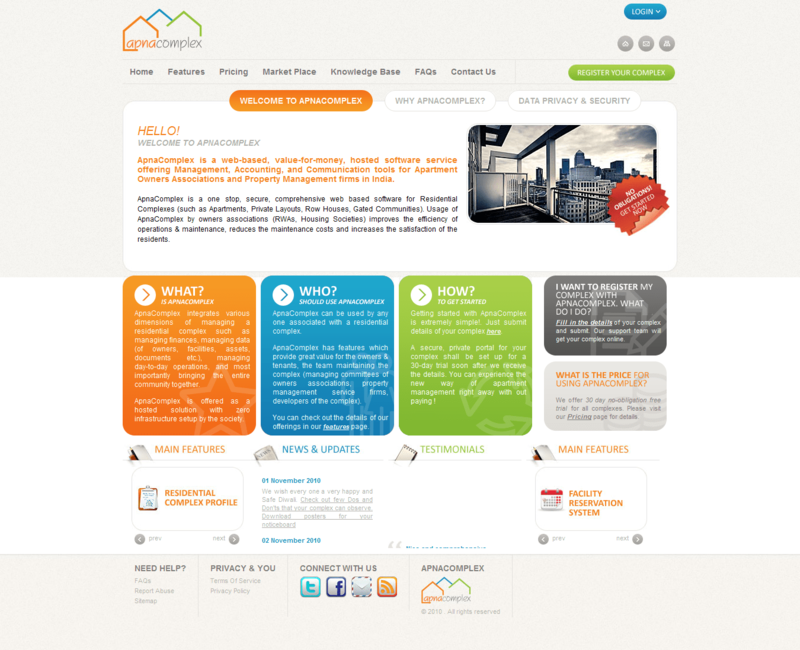 Employing property management software also ensures timely collection and payment of dues. It also helps the estate manager communicate with vendors and ensure timely delivery of required estate materials. On the whole, knowledge of appropriate apartment management software will make the apartment manager an efficient and organized individual. Ensuring timely and correct disposal of waste in designated areas. The apartment manager has to ensure that PWD department is ready to assist in terms of problems with sewage overflow during the monsoon season. Maintaining a contact list for emergency series that include police, ambulance, public works department, water department and fire service. ApnaComplex – the value for money apartment management software is offering 30-day no obligation free trial for every complex. Go ahead and register your complex and see how you can manage your complex more easily, efficiently, and effectively. In a two part series, ApnaComplex examines the Estate Manager Efficiency, the profile and job responsibilities of an estate manager. An estate manager is a manager or a caretaker of a property or piece of land that is privately owned. Estate managers are similar to landlords and they perform many similar functions. Estate managers might be either permanent or short term caretakers of property and they are generally appointed by the owner of the land or his legally appointed representative, such as the apartment owners association in the case of apartments. Apartment managers are responsible for managing the everyday activities of apartment and this may vary from something as simple as collecting rent to settling disputes between residents amicably. Apartment managers are generally required to live inside the premises of the land they are responsible for, usually in separate living quarters. You can use this artcile to understand the profile of an estate manager, how to look for for an efficient estate manager and also evaluate if your current estate manager fits the bill. The estate manager is responsible for representing the residents of the complex. The manager has to take up any complaints and redress them. The apartment manger speaks on behalf of the apartment to the police or any government body. S/he is also responsible for the overall management and smooth running of the day to day activities of the apartment. An apartment manager is required to have formal training and prior experience in managing an estate or piece of private property. Generally, managers are also obligated to have some knowledge of land laws and rules pertaining to tenants and settling of disputes. Some amount of qualification in accounting precepts and formal training in computers are also essential to be an efficient estate manager. Managers are also required to have a wide knowledge in management of general household duties. It is also important that apartment estate managers know the in depth functioning and mechanisms behind the working of machinery and equipments such as elevators, water pumps, sewage and storm water drains, generators, water tanks and piping. This is because the apartment estate manager is required to deal with a variety of vendors and individuals to repair, operate or maintain these equipments and basic knowledge will aid in speeding up any processes that involve these. Ensuring security in the premises and coordinating with police to ensure that they arrive on time in case of any emergency is an essential role of the apartment manager. Managers are also responsible for ensuring security personnel are hired from a trustworthy agency. The security personnel must be required to check every person that enters the complex and ensure that they are registered at the front desk. The manager has to ensure that the payment of bills, depositing credit instruments etc are done in an efficient manner. On a daily basis an apartment may have a huge volume of transactions and the manager has to keep a record of each transaction so that the residents or the association can inspect it if they wish to. All purchasing and selling has to be transparent. The manager is also responsible for coordinating with all government agencies such electricity department and public works department. The manager has to inspect the apartment complex at least once a day and ensure that swimming pools, generators and public toilets are in good order. This is important considering it is the only way by which the manager and hence the association will have a clear idea as to how the apartment maintenance staff are performing. The manager also has an opportunity to step out of the office and interact with residents of the apartment and other executive staff to gain insights and feedback that he may not have earlier been in a position to receive. Ensuring proper landscaping and making sure that the apartment is presentable is one of the most important duties of an apartment manager. The manager has to maintain the presentation of the apartment so that the value of the apartment complex does not reduce in the future. In order to do this he has to coordinate with the staff to ensure regular and efficient sweeping and cleaning of common areas. In case any painting work is required, the manager has to ensure this is done without any inconvenience to the residents. Organizing private parties and events that pertain to the estate and coordinating with the various associations in the apartment is also a part of the manager’s duties. The manager has to make sure that materials and the manpower required for these events are made available. An apartment is a community and the manager must bring together the apartment residents during festive and social events to ensure harmony in the complex and to foster the community spirit. 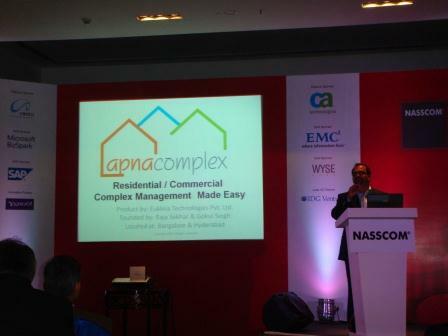 ApnaComplex was at the recent NASSCOM Product Conclave. We were one of the ten product start ups that were selected from around 50 nominations to be presented to media in an exclusive event of NASSCOM Product Launchpad on 9th November 2010. We really had good time presenting and interacting with all learned people post the session and learned quite a bit. We were covered by few news papers post this event (see right side for a snippet from Deccan Chronicle dated 10th November 2010). Below are links to few more blogs/papers that we got a mention. We thank every one who covered us. These definitely help us to put our best foot forward. We thank NASSCOM for providing this platform for us. We also thank all the jury members for having selected us to be in top ten from a list of 50 products. 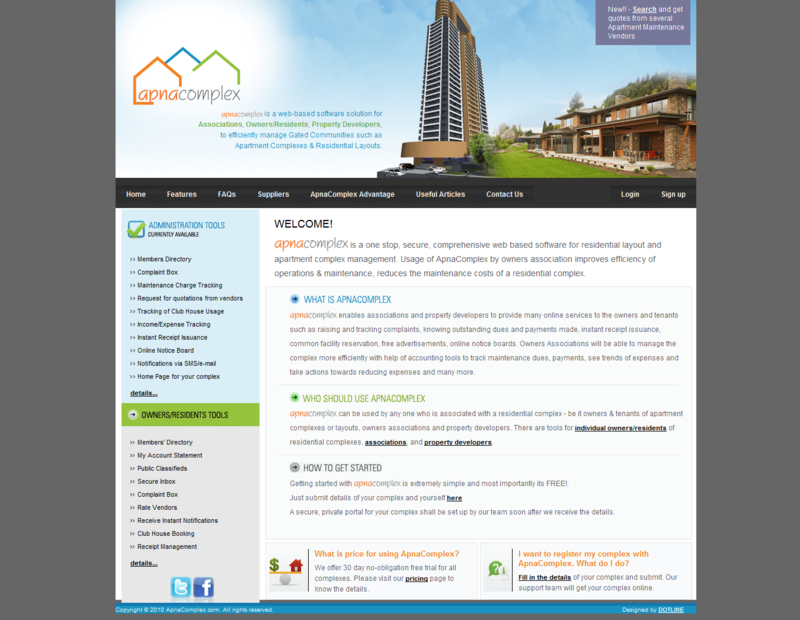 Team at ApnaComplex welcomes Diwali with a new vibrant look for the website. While the earlier design was functional and did its job – we were finding it inadequate accommodate all the new stuff we keep doing and hence the need for a new design. And what a better time than Diwali to launch the new look. Along with the new design and new graphics, we spent time in thinking and re-writing most of content of our static pages. We attempted to elaborate the ever-increasing feature set of the product to give more information to our web site visitors. We hope you like the new design as much as we do. Check it out. It’s that time of the year again. The whole country reverberates to the joy of celebrations over a five-day period. There’s music, food, light and an air of prosperity all around! Yes, we’ll soon be celebrating Diwali, the festival of light that marks the victory of good over evil. Celebrated with great joy and festivities in most parts of India, it is marked by the lighting of lamps, crackers, exchange of greetings and gifts, buying gold, decorating of home and sharing sweets with family and friends. Along with all the above, the festival of Diwali has also become associated with firecrackers that cause injuries and leave people with burns, loss of eyesight, damage to the ears and to property if adequate care is not taken. Every year, there is a significant number of burns and other injuries that are reported during the festival. Customize Diwali Notice to update designated fire cracker burning areas and timings and post on your notice boards. It is therefore important that each one of us who is celebrating with firecrackers follow a few Dos and Don’ts to ensure that Diwali ends as a happy festival for one and all. If you are a member of the Managing Committee of your residential complex, make sure you list down your Dos and Don’ts so that every resident is aware of what they should and should not do to make it a festival that everyone enjoys. We provide a list of Dos and Don’ts that you can use as it as is or as a guideline for your apartment complex. You can download the Diwali Do’s and Dont’s poster, print it and post it in your society notice board as is or under your official letterhead. Buy fire crackers from street vendors. Buy fire crackers of a reputed brand from a well-known shop. Carry or throw firecrackers for fun. Handle fire crackers carefully. Read instructions before lighting a firecracker. Have flammable materials like wood, electrical cables, fuel, lighted lamps etc. around where you store or light fireworks. Store your fireworks in a safe area. Clear the area around before starting to light crackers. Burst crackers in crowded areas. Keep a couple of buckets of water handy for putting out fires. Remember, every major fire starts small. Let your children burst crackers on their own. Have an adult accompany children while bursting crackers. Wear long, loose synthetic clothes while lighting crackers. The loose ends can catch fire. Wear well-fitting cotton clothes. Light crackers bare foot. Wear shoes or slippers while bursting crackers. Leave spent sparklers on the ground. Put the spent sparklers in a bucket of water as soon as you’ve used them. Ignore a burn injury. Wash the affected area with plenty of cold water and seek medical help. Ignore an eye burn Wash the eye with plenty of water then rush the victim to the hospital. Have a Happy and Safe Diwali. Another important thing that is mandatory in a gated community is to light fire crackers only in designated areas. While, every one loves to light crackers in their balconies or just outside their flat, it is not preferred as it can lead to serious fire accidents. It is imperative that in a community, the managing committee designates areas where fire crackers can be lighted and for all the members to follow the same. Usual places where fire crackers cannot be burnt are balconies, staircases, lobbies, lawns. It is also important that fireworks are lighted only during desinated timings to avoid disturbing residents of your complex. We offer here a template that your association can customize updating the designated timings, designated areas to light crackers and also update emergency contact numbers. You can share the notice with your residents, print the same on your society’s letter head and put it up in all notice boards. Download the Diwali Notice template to customize it for your complex. With a little bit of care and caution, Diwali can be enjoyed by one and all. Take that few additional steps to make sure that the festival leaves only pleasant memories for all involved. We wish you a very happy and safe Diwali! Noise if one of the most common irritants in a apartment complex; a apartment complex, understandably, has walls of different homes very close together, so the blaring sound from your stereo system can easily disturb your neighbour. Always keep in mind that while you may love your music, others have right to their sleep as well. Whether you are watching television or listening to your favourite number, keep the volume at a level which does not disturb others. In case you are having a party at your place, inform the other dwellers in the apartment building beforehand; ask them till when is it okay to keep the music blaring. Doing so helps in building a good rapport with the neighbours. A good rapport means that even if you cross the limits by chance, chances are that you would be politely told about it rather than inviting cop trouble. If you are living in a high rise, chances are that you would be using the elevator several times a day. However, while using the elevator, keep in mind that you do not keep the elevator waiting unnecessarily. If you waiting for your family or friends to come in and if they are taking too long, let the elevator go; after all, there are others too who are waiting on some other floor for the elevator. Getting into an overcrowded elevator is also a bad habit, even if there is just enough space for you to squeeze in. Refrain from doing it. Families with children should make their kids understand that too much noise or stomping on the floor can disturb the sleep of others, which is not appropriate. If you have some guests coming over, make sure you brief them about the rules and regulations of the society beforehand to avoid any trouble. Everyone does not love animals. If you have a pet, keep it on a leash when you take it out for a walk. Never leave your pet alone when it is outside the four walls of your premises as it may cause more than just inconvenience for the neighbours. If you arriving from a party late at night, do not honk incessantly as it can disturb the sleep of people. Although most apartment complexes have designated parking slots for people residing in the complex, there are still some people who park their vehicle without paying heed to others’ discomfort. Always park your vehicle at your designated slot and park it in a way that does not block the right to passage of other vehicles. Most often, children run up and down the stairs, which, other than causing disturbance, can also cause injury to others. Please be firm when dealing with your kids who indulge in such games. While walking down a hallway, you should always converse softly. Talking loudly in the hallway can irritate others and can also jeopardise your privacy. Now, you surely do not want that to happen, do you? We at ApnaComplex care about each and every person living in an apartment and this is a small initiative on our part to make people understand that it is important to keep the rights of other people in mind while enjoying your own freedom. ApnaComplex is offering a 30-day no obligation free trial for every complex. Go ahead and register your complex and see how you can manage your complex more easily, efficiently, and effectively.